It's day 6 of 14 Days of Valentines, a countdown to Valentine's Day one craft at a time. Today's project is simple in craft, but a little more work in final execution. I was never one to pack a lunch ~ not in school and not for work. I never knew what to pack and I would ALWAYS forget it at home. Luckily, I always worked near some great food spots. That is not the case for my teacher husband, who barely gets a chance to breath let along go anywhere for lunch. There's always the hot lunch option, but you can only handle so many cheese zombies. Or can you? 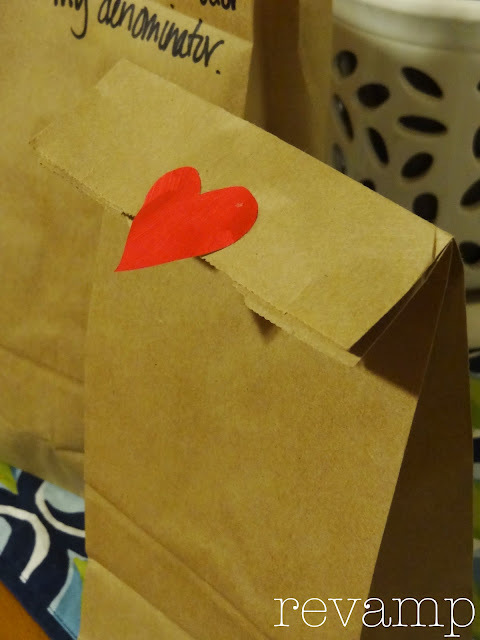 As a sign of love and appreciation, I chose to make my husband's lunch (like a good little wife) for 7 working days. 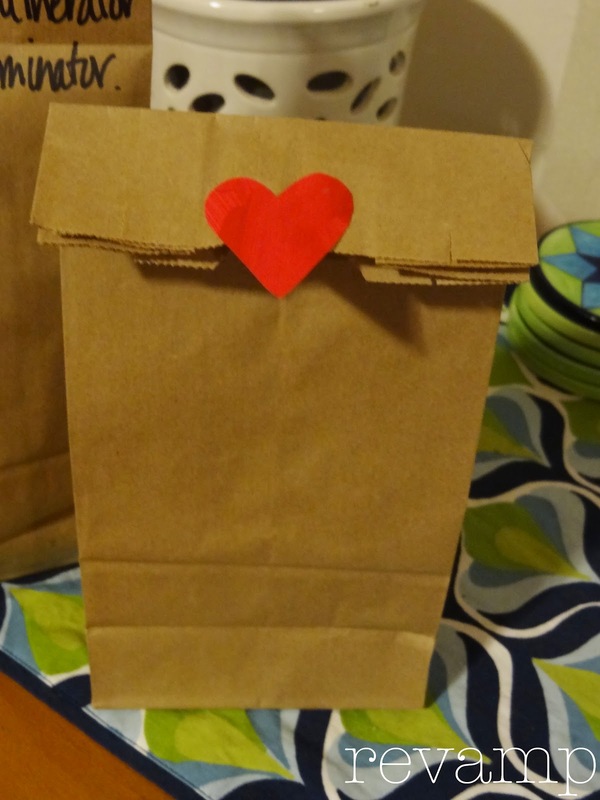 I prettied up the regular brown bag with hearts cut out from my son's first piece of art and hid some funny little math valentine messages under the flap. I've got all seven bags finished, day 1's food covered ~ leftover bbq chicken sandwiches, but Day 2 is causing me much grief. Curse you, sack lunches! 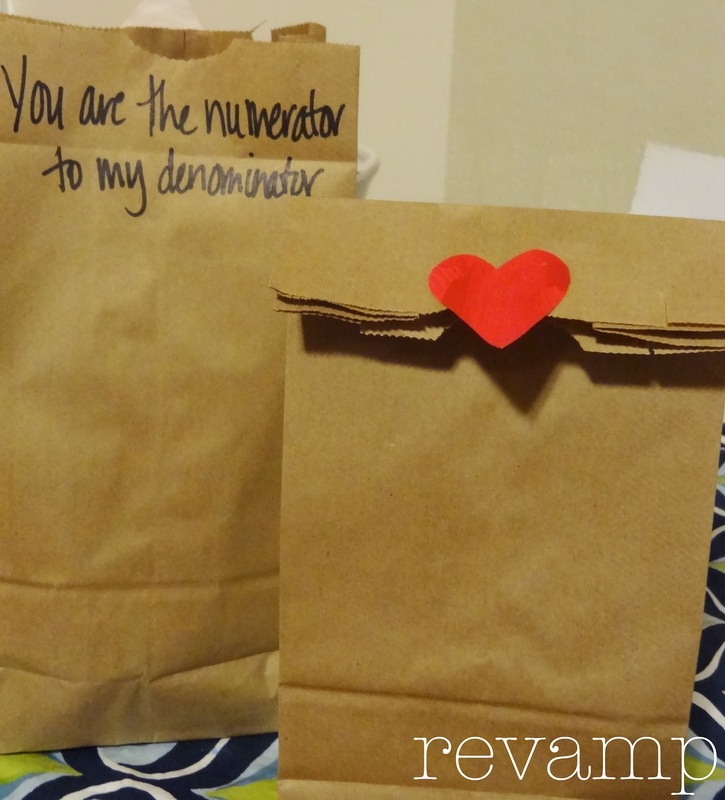 You're the numerator to my denominator. You are my sweetie PI. Without you, I'd be a fraction of myself. You are the independent variable to my life b/c I depend on you. You and I are living proof that one plus one equals three. 6 days down, 8 to go!